Are you a great writer? 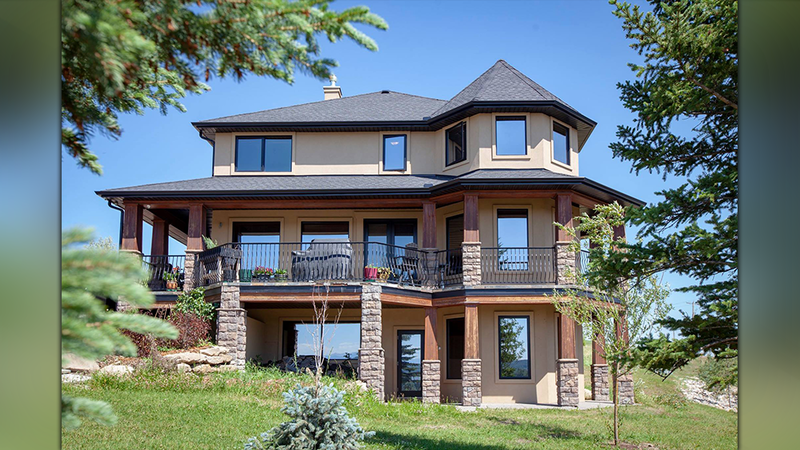 If so, your creative writing skills and a $19 entry fee could help you win a $1.7 million home in Millarville, Alberta. A woman in Canada started the " Write a Letter, Win a House " contest after not receiving any offers on her home, which she listed due to health issues. Contestents simply need to write a letter explaining why moving into a lakefront dream home would change their life in 350 words or less. Contestants then need to mail or email it to the woman, along with a $19 entry fee. The woman is accepting entries until April 5. After that, the woman and a panel of judges will decide whose creative letter deserves to win the home. "Much like 'sale by owner', this contest has it’s challenges yet it is, in my opinion, a most incredible way to find a truly exceptional reason to bestow your treasured home (not just for $$$ but for sentimental reasons) upon someone that can skillfully and creatively convey to me and a panel of judges how this spectacular home would change or improve his/her and their family's life," the woman wrote on the contest Facebook page . For more information about the " Write a Letter, Win a House " contest, click here .